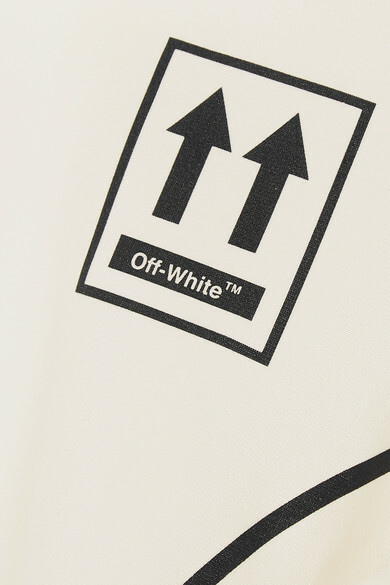 Aptly titled 'Track and Field', Off-White's Spring '19 collection is a sporty affair, with models at the show having walked alongside athletes. This top is made from stretch-jersey and printed with symbols often found on football shirts. The neck is woven with the label's signature logo, so wear your hair up to keep this in focus. 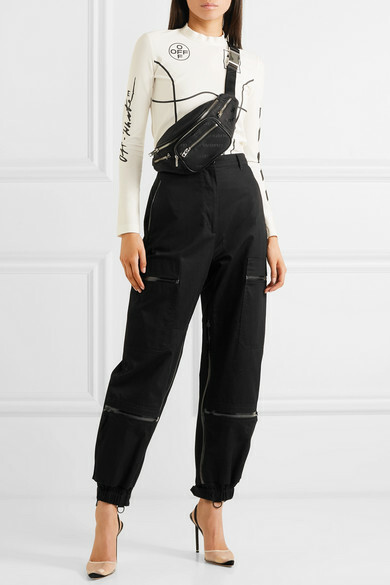 Shown here with: Maison Margiela Pants, Alexander Wang Belt bag, Alexander Wang Pumps.